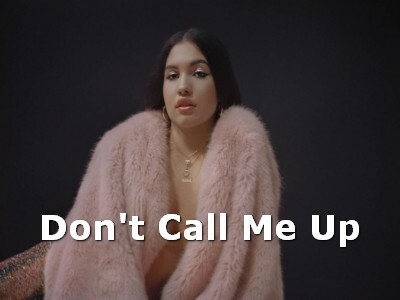 ‘Don’t Call Me Up’ is a bit of an empowerment anthem, that follows on from the likes of ‘Finders Keepers’, ‘Fine Line’ and ‘One Shot’ which were released across 2018. The track was co-written with Steve Mac and Kamille Purcell and lands after her recent UK tour, which saw her headline London’s Brixton Academy. It's great to have a Don't Call Me Up - Mabel ringtone on your phone and enjoy it with every incoming call.